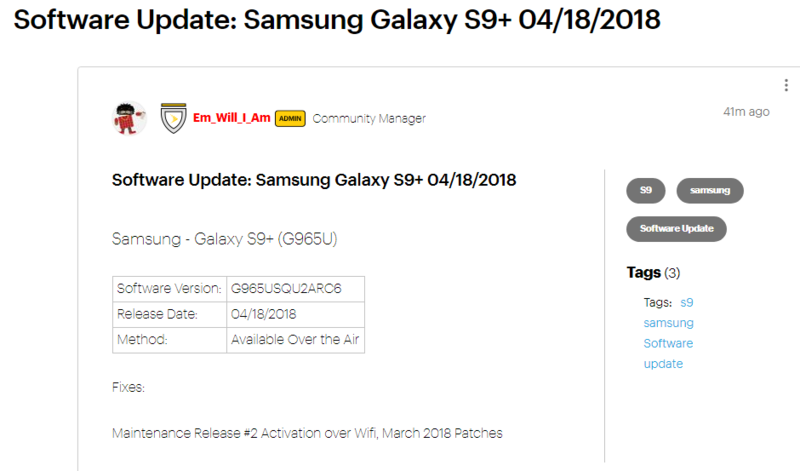 Sprint has a new update ready to roll out to Samsung Galaxy S9 and S9 Plus that installs a relatively older March 2018 security patch, but it makes up for that by adding a little nifty feature that allows activation over Wi-Fi (whatever this is meant for is still unclear to us). The update is rolling out as part of software version G960USQU2ARC6 for the standard S9 and G965USQU2ARC6 for the bigger S9+. Since it’s an OTA update, it may take some time before all S9 and S9+ units on Sprint get the latest software, but you can try a manual update via the Settings > About phone menu. Sprint says the OTA notifications will start hitting Galaxy S9 and S9 Plus handsets beginning April 18, 2018.